Regional Director of Player Development Steve is the architect of the Nike Golf Learning Center at Reston National Golf Course. The Nike facility is recognized as the No. 1 Nike branded golf school in the country. A golf professional for 25 years and PGA member for the past 21, he enters his 11th year serving as the Director of Instruction. Steve’s drive to grow the game of golf has produced a facility (and staff) that boasts one of the top junior programs in the county, benefiting more than 600 students annually. "US Kids” named Steve as one of the top 100 Junior Instructors in the country. Steve has taught golfers of all ages and abilities - from five-year old beginners, high-school students, college athletes, LPGA & PGA professionals, husband and wife teams and corporate groups such as the FBI, NASA, and USA Today. The one commonality all Steve’s students share is the impact his focus on player development has had on their game. 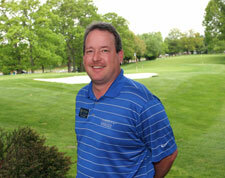 He was recently recognized as one of the top-five golf instructors in 2011 by Washingtonian Magazine. Steve served as the Head Golf Coach at George Mason University, a Division I program. In 1996, he led his team to the East Regional of the NCAA Championships. Nominated multiple times as "Coach of the Year” in the region, he also produced more than a dozen PGA professionals during his tenure. A native of Chicago, Illinois, Steve serves on the PGA of America’s Presidents Council for being one of the leaders in the golf industry in player development. Shaun joins the Nike Golf Learning Center with eleven years of teaching experience in California, Colorado, and Washington, DC. He "discovered” golf when he was a high school sophomore living with his family at Ramstein Air Force Base, Germany. At age 17, he moved with his family to Rota, Spain. There, he soon found himself caddying on the European Tour and mini tours. He later moved to San Diego, CA to pursue golf in the United States. He attended the Professional Golfer’s Career College in Temecula, CA and became Head Golf Professional and instructor at Red Hawk Golf Club. Several years later, Shaun got the opportunity to teach at a ski & golf resort in Telluride, CO, where he split his time teaching golf in the summer and teaching snowboarding in the winter. In Telluride, Shaun was fortunate enough to work under PGA Lifetime Member and Golf Digest-ranked instructor Dan Smith. Another career opportunity came in 2008 when Shaun relocated to Washington, DC. He began teaching for the NIKE Golf Learning Center at Reston National Golf Course in 2011. Zach Baron is recognized by many in the golf industry as one of the bright young minds in golf instruction and player development. At a relatively young age, Zach has been able to make a global impact in the growth of the game through his development of junior golfers around the world. Zach has created a very unique teaching environment that involves building skills with a high performance mindset. The game of golf can be a life changing experience and Zach is dedicated to revealing that potential in each individual he comes across.